Hi Dealsnloot Readers, We Are Here Among All Of You With One New Trick Which Provide You Products Worth Rs 600 At Just Rs 100 Only. 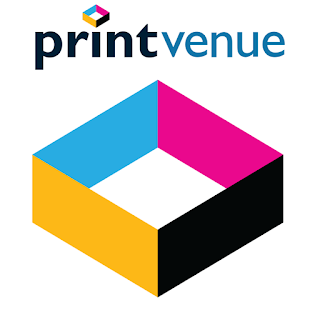 The Site From Which We Buy Product At Rs 100 Is Named As Printvenue. Printvenue Providing Customized Products With Good Quality Always At Lowest Cost Than Other Sites. 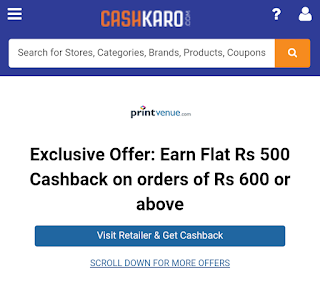 We Will Use Cashkaro.com Get Website To Get Rs 500 Cashback On Our Order Worth Rs 600 From Printvenue. 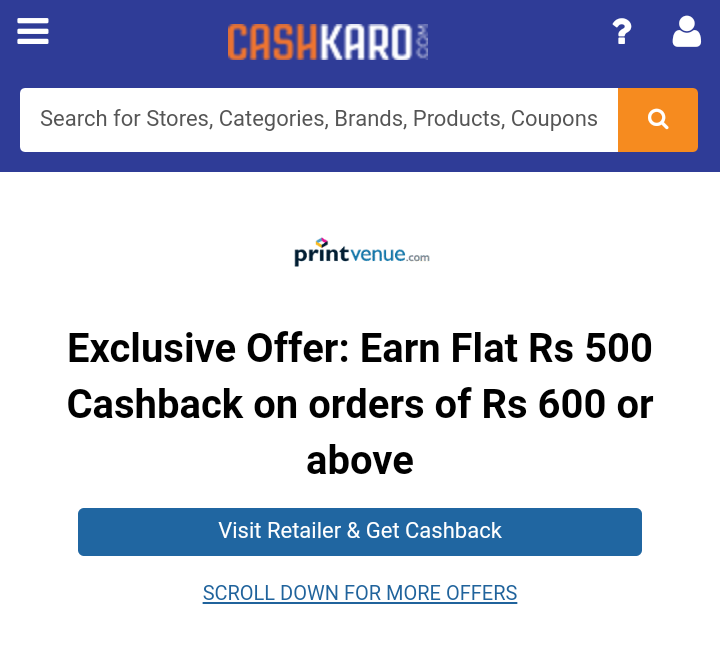 You All Know Cashback On Any Product Is Given By Any Website Within 3 Months , But Here Cashkaro Website Is Totally Advanced & Paying Cashback Within 8 Days. So Let’s Follow Below Steps To Use This Offer & Get Products At Just Rs 100 Only. Note - Your Cash Back Rs. 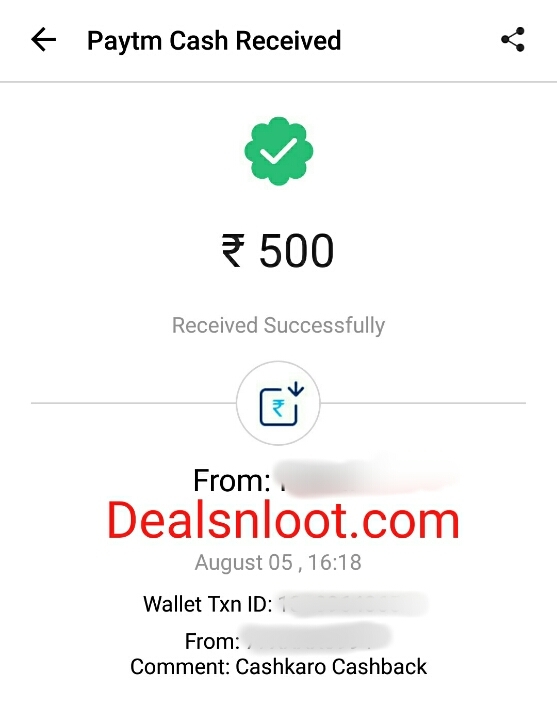 500 Automatically Approved After 7 Days And Receive In Your Cashkaro Account. Cash back Can Redeem As Bank Cash,paytm Cash, Gift Cards and Recharge.If Your Cash Back Not Approved After 8 Days Then Contact Care Number. Offer 100% Working & Genuine. 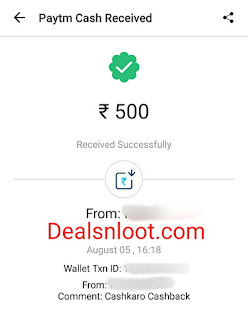 Update :- If Your Order Not Track By Cashkaro and Not Show Cash back In as Pending then call On9650196319 or 8527264999 Direct Solve Your Issue. 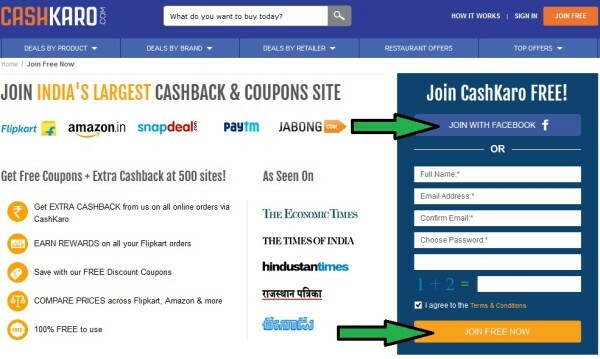 8) Now Click On Visit Retailer & Get Cashback. 9) Now You Will Be Redirected To Printvenue Website. 14) Now Make Payment Via Any Method Or Paytm. 16) Your Cashback Of Rs 500 Will Be In Pending Stage , But It Take Less Than 8 Days To Get Approved. 17) When Your Cashback Is Approved Transferred It To Paytm Wallet Or Bank. 18) It Takes 24 Hours To Credit Cashback In Paytm Wallet Or Bank Account. 1. Cashback Will Be Credited For Orders Worth Rs 600 Or More , Exclude Shipping Charges. 2. Cashback Will Be Approved Within 5 To 8 Days Of Placing Order. 3. Cashback Can Be Redeemed To Paytm Wallet/ Bank After Getting Approved.